Birthday parties with laser tag, bounce houses and more. 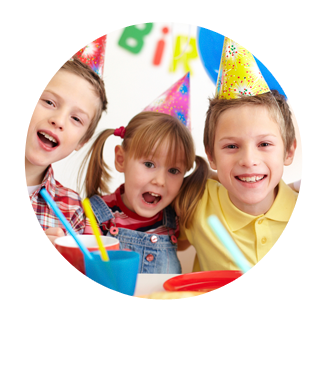 Are you looking for an amazingly unique place to have your child’s next birthday party? Bounce About has exactly what you are looking for. Something for all ages will allow you to pick activities for everyone invited. Bounce About has specialized infant party packages specifically designed for their age appropriate activity and appetite. The inflatables are a great party option for those kids that love to bounce and climb. And for your older kids and adults check out Bounce About’s one of a kind laser tag/sports arena party package. 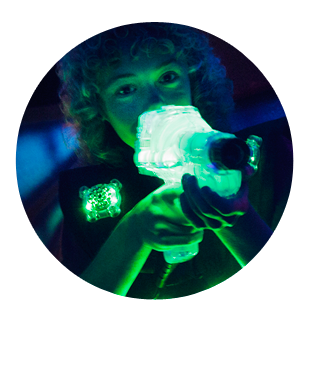 It will take the party goers into our state of the art laser tag arena for 2 games of laser tag and they will also spend 20 minutes inside Jersey’s first inflatable sports arena. The birthday child will choose from one of our organized games of dodge ball, basketball, volleyball, soccer, badminton, or ultimate Frisbee, and have a blast playing and competing with their friends. Please check the packages below to see which one fits your party needs. If you are not sure if an existing package will work for you please contact Bounce About and a party planner will be sure to create a package that works for you. 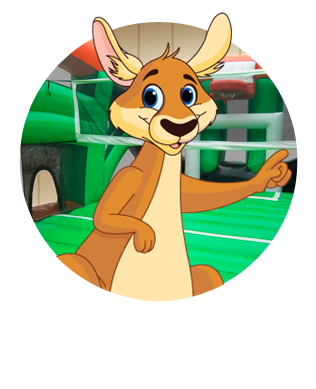 Bounce About is also excited to offer Day Care Field Trips, School Field Trips, Corporate Events, End of the Season Sport Parties, Fundraising Opportunities. PLEASE NOTE: NO OUTSIDE FOOD ALLOWED. ALLOWABLE FOOD MUST BE ORDERED THROUGH BOUNCE ABOUT!! Call 732.608.7108 for details and plan your next event. All parties are 1 hour and 45 minutes. Includes all items from Fantastic Package + Balloons, Cake, Decorations, & Goodie Bags. Option 2: 3 Games of Laser Tag, Birthday child can pick between team or freefall on their 3 games. Party layout is as follows, Laser Tag, Pizza, Laser Tag, Cake, Laser Tag. All Parties are Subject to NJ Sales Tax.